Disclaimer: I received a UV BUFF to review as part of being a BibRave Pro. Learn more about becoming a BibRave Pro (ambassador), and check out BibRave.com to review, find, and write race reviews! BibRave Pro and one of my best running friends Angie and I having fun with BUFFIES. 1. Great for all seasons. Wear it as a face mask in the winter to keep your face warm (and get the air warmer to breathe in), or wet it down and toss in some ice cubes and wear it as a neckerchief in the summer. Pro Jeremy loves this trick in the Arizona heat. Classic Black - goes with everything. 2. I could write about 20 ways about how you can wear it. They show you 13 options alone on the website, but you can get creative and have fun with it. Check out the video. Wearing it as a hairband. Perfect to protect my ears on those windy days! 3. Blocks 95% of UV rays. I know BibRave Pro Daddy, Did You Win? loves to wear it to prevent sunburn on his noggin'. 4. Soft, breathable Coolmax® Extreme fabric. 5. 100% Seamless. I've never had problems with chaffing when I've worn it as a wristband or on my neck. 7. Moisture-wicking & quick drying: we know how important that is in our running gear! 8. 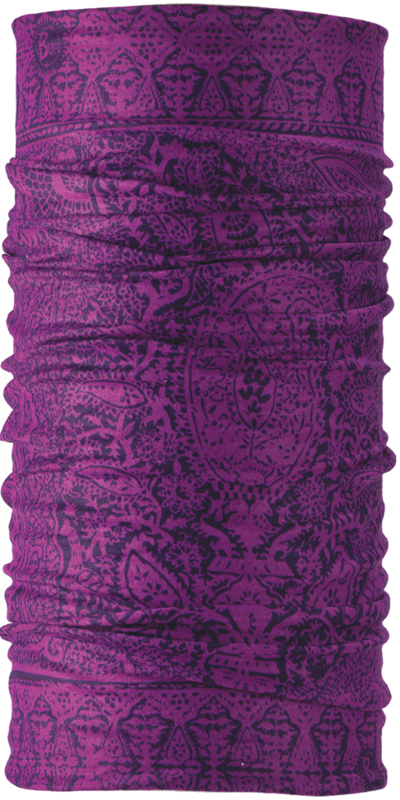 So many great colors and patterns to choose from! I'm really digging: Ranjit, Pingrey, Blue Sun, Cartons Cru, Mirage, Streaker, Mosaic, Tiger Sky, Surf Flower, Moxie, Starburst, Batik... like I said, so many great options! 9. Works as a great eye mask during travel (those pesky hotel lights - the clock doesn't dim all the way, the light from the tv that is off, etc). 10. Thermal protection from cold & wind. 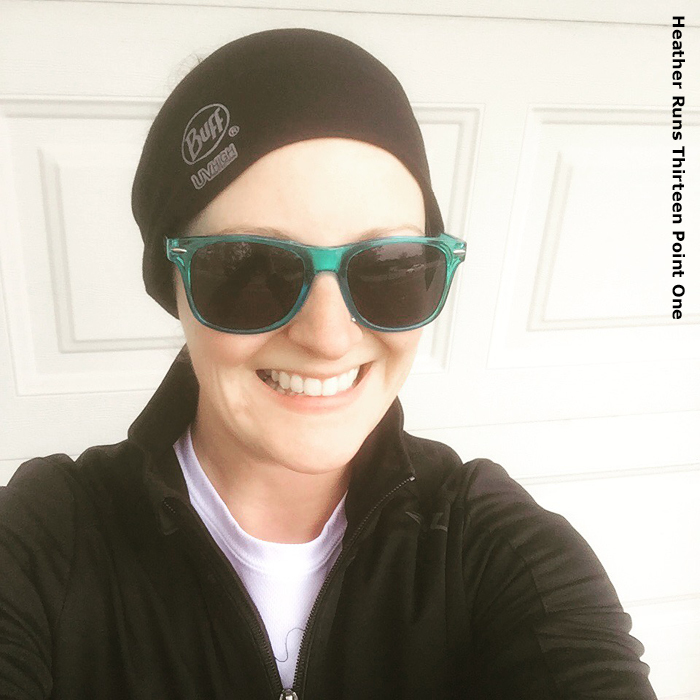 I could probably list plenty more reasons why you should add a UV BUFF to your running gear collection. 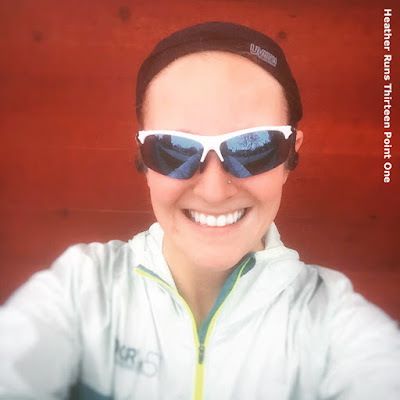 I found it extremely important in my winter running, as it was often windy and snowy/sleeting, so it protected my face. Plus, warming up the air before breathing in is always a plus on those super cold days. It also helped to protect my ears. In the summer, I've found that drenching it in water and then tying it as a wristband to wipe my face worked wonders to keep me cool. It's also fun to wrap some ice cubes in it and then wear as a neckerchief to stay cool. 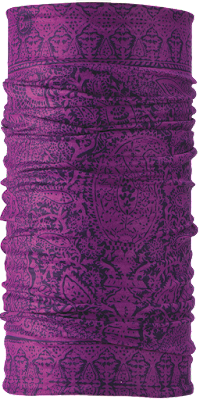 On those sunny days, I used it to protect my neck from sunburn, which was an awesome use. I'm super pale skinned, so I burn within 5 minutes of being outside. Sunscreen and UV gear help keep me protected. No doubt the BUFF will be an integral piece of running gear used during Chicago Marathon training this summer. Some days I wear it as a headband to keep the sweat out of my eyes, other days a hairband keeps the hair out of my face (I have all those short hairs... I don't know where they come from since my hair is long, but they are always getting in the way). It seriously is a product with so many uses—being so versatile is definitely a plus in this runner's life. I now have 3 full BUFFs, a UV Half BUFF, the Merino Wool BUFF, and the Thermal Hoodie. I love them all. I still prefer the UV Half BUFF for the summer because there is less fabric, but have found that the full is pretty awesome tool to have as well (especially for that ice cube trick I discussed earlier). 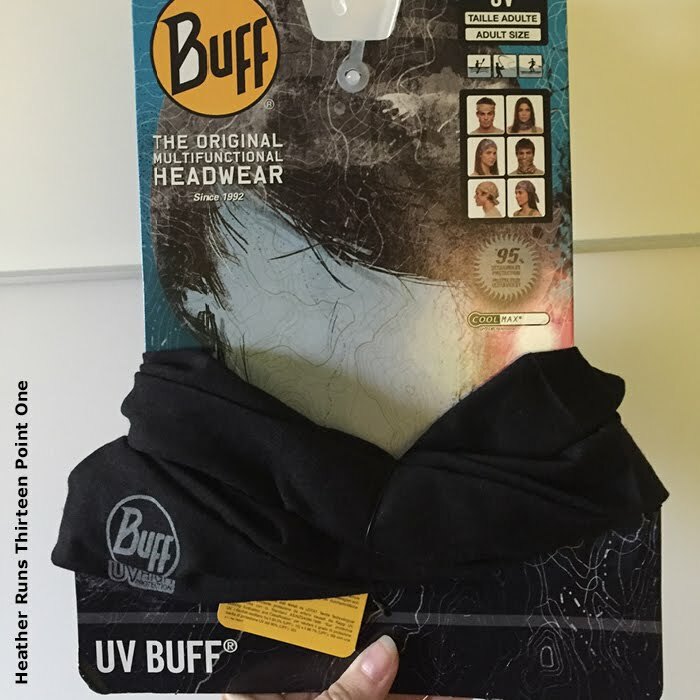 I'm really interested in trying out the UV Insect Shield BUFF, which would be awesome on the trails since it repels mosquitos, ticks, ants, flies, etc. Check out their website and tell me you aren't interested in anything on there. I dare you. BibRave and BUFF have partnered up for a fun giveaway during the month of May, too. You could win a $215 prize pack of awesome BUFF swag. 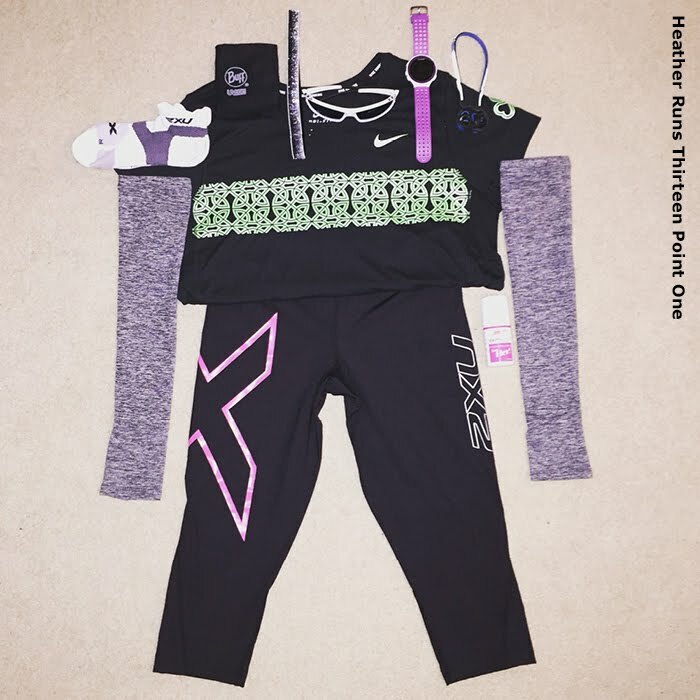 Take a read here on how you can enter: http://www.heatherrunsthirteenpointone.com/2016/04/buff-in-wild-campaign.html.